Mobile Bike Repair and Pick Up/Delivery service since 2012. Eastside Bike Guides is proud to sponsor the 2018 Tin Mountain Conservation Events. 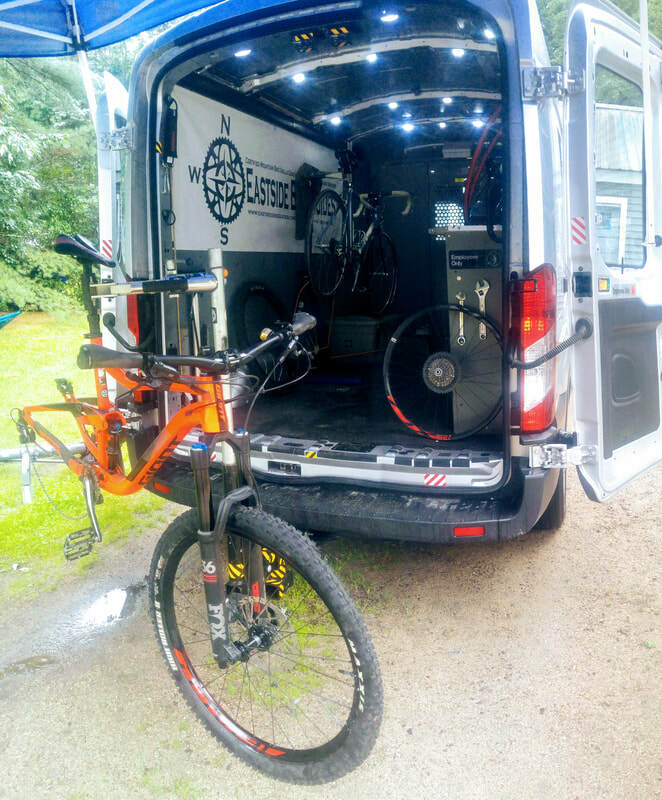 ​EBG returns as mechanical support for the Tin Mountain Century and The Mount Washington Hill Climb. A lot of bikes are purchased on line these days from Amazon, Bikes Direct, various bike related forums or Craigslist. ​ These purchasing sources offer riders a wide range of opportunities to score some great deals on bikes but puts one in an awkward position of either having to assemble the bike themselves (which we DO NOT recommend) or bring it to a shop that may feel a bit slighted that you didn't buy from them. Eastside Bike Guides will assemble your online purchases without any kind of drama. ​ We aren't brand loyal or type specific. We can and will assemble anything.